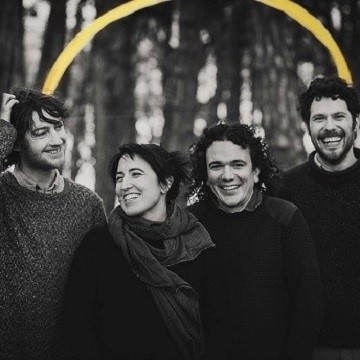 Hailing from the west of Ireland, Old Hannah are a band who've taken a deep-rooted love of all things folk, country and traditional, and have spun those influences into a unique and sophisticated sound that's both contemporary and timeless. Adding drums, trumpets and outstanding four-part harmonies to a chorus of string instruments. Old Hannah will release of their debut album 'Borealis' this April. Quite the departure from their early work, this album marks an important transition in Old Hannah's form. It sees them expand their creativity and appeal far beyond the bounds of the Irish and North American folk and country traditions that coloured their early work. Their highly anticipated album "Borealis" is a glowing critique of what’s achievable with a strong background of traditional instrumentation, accomplished songwriting, and the will and ability to bring that foundation to a whole other place.